True Grit Oscar Nominations & Dardanelle, Arkansas - JP loves LIFE! The images of Dizzy Dean picking cotton for Jeff’s granddad got me REALLY interested, as did the fact his family still owned property. So I shot over a followup email. Loved getting this! I apologize for the late response – have been down with a bad cold. Feeling a little better today. I can’t say that I’ve got any more cotton stories for you but I thought it’s interesting that Mattie Ross said (in the movie True Grit) that she was from a farm near Dardanelle, Arkansas in Yell County. I know we spoke of my grandparents’ home and that it was indeed in Yell County, but it’s also just outside of Dardanelle. It’s located in Harkey Valley. I’ve attached a recent photo, taken in December 2010, when I went there for the weekend to mow. 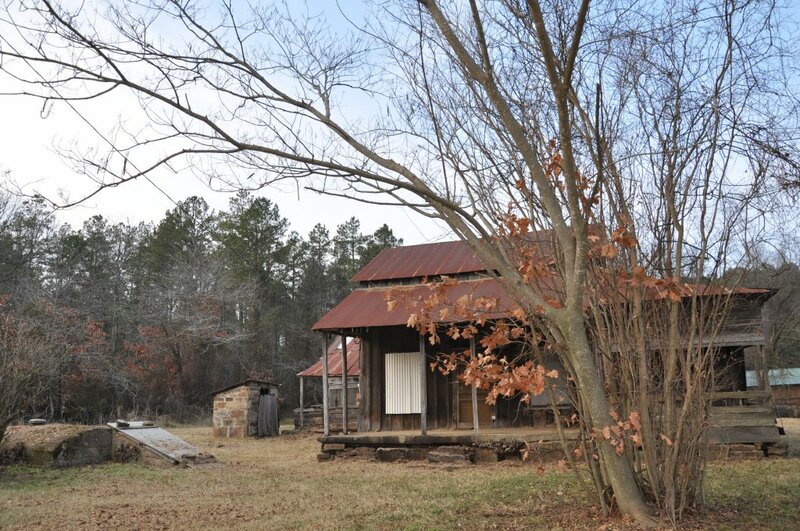 Thanks so much Jeff for sharing the photo & a bit more about Yell County! We’ll all be crossing our fingers as the Coen brothers, Jeff Bridges and Haille Steinfield take their spots on the red carpet! I haven’t seen the new True Grit yet…Did you ever see the original…?